Futomat Cottonsafe®Cocoloc are similar to the other bed mattresses in the Cottonsafe® range but distinct enough so they sit in their own sub category. All mattresses in the Cottonsafe® category are completely chemical free and totally safe to use for anyone, toddlers as well. Long time associates have found a way after years of development to pass the UK Fire Retardancy laws in a natural way. There are many unique factors involved in the construction of these comfy mattresses. 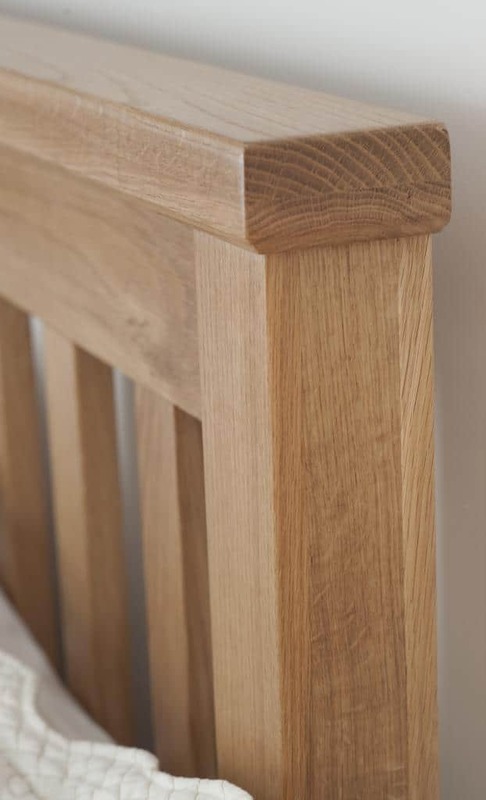 Made in the UK using quality assured materials these are the epitome of what a hand finished chemical free mattress should look and feel like. Cottonsafe® Futon Mattresses are available in x4 options and each has a slightly different density or feel depending what material has been used at the core or centre of the mattress. For those who have concerns about the environment and look for products that have a low impact on the planet we feel we can help provide innovative solutions especially in the area of sleep. The mattress casing or cover is made from ORGANIC COTTON, this is then quilted to a layer of naturally Fire Retardant Lamb’s Wool using undyed natural Flax thread. To keep the filling in place we use “daisy tufts”, also called felt washers. Inside the quilted Cottonsafe® cover, top and bottom are layers of a cotton rich material that is clean and fresh smelling. 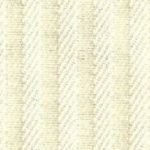 The point of this material is that the cotton has a small amount of pure polyester added to it and the result is that it will not tangle, break down or create dust but keep its form which results in less compacting. Another benefit of the resultant “loft” is that more air will pass through the mattress allowing the moisture that we all exude when sleeping to evaporate. Once the Cottonsafe® cover is filled we use a zip on three sides to close the cover prior to the tufting process the craftsmen use mentioned above. 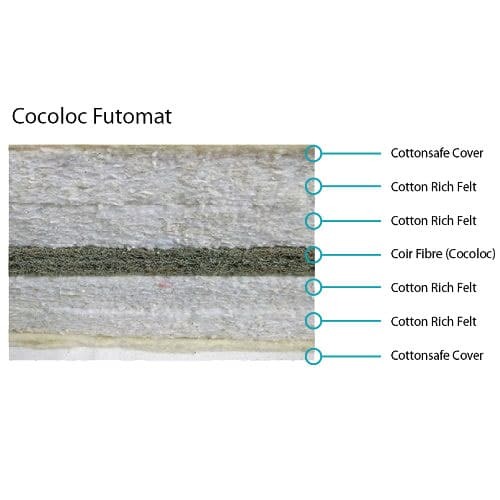 The centre of the Futomat Cottonsafe®Cocoloc mattress has a sheet of Cocoloc, this is coir bonded by latex. The nature and feel of this mattress is firmness. Coir is a natural fibre exactly the same as you see on the outside of Coconuts. It has many qualities and for those who weigh a bit more than average this mattress will provide the support you need. We are excited to provide you and your family with a safe, comfy sleep environment at an affordable price. There are x5 sizes in each of the options. When you receive your Futomat there could be a faint “whiff” or aroma from the natural cotton and wool materials that are used to fill the mattress. This aroma will dissipate in 7-10 days and is nothing to worry about. Another natural occurrence is that the layers of filling are thick and plump when the mattress is made but will settle over time and if turned occasionally will even out. When you sleep in the same position each night a dip in the mattress can occur and this can also be taken care of by turning the mattress now and again.